Ray Skorka began his musical career in second grade at Sts. Cyril & Methodius Church in Clifton, NJ. He was selected to be the conductor, in top hat and tails, of his classmates’ “Rhythm Band.” Yes, his parents had to rent a tux and accessories. At the age of seven, Ray began taking accordion lessons. Those lessons continued until he was nineteen when in college Ray switched from accordion to piano lessons for two years. While a junior in high school, Ray formed his first band, a trio called the Ray-Dels. The group (accordion, guitar, and drums) broke in by playing a variety of music for wedding receptions and other private parties, expanded to a quartet within a year (with saxophone/clarinet), morphed into the Ray Edwards Orchestra, and, finally, The Ablemen. 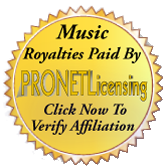 After playing private parties and clubs for almost twenty years, the band ventured into polka music during the early 1980’s on the advice of a friend who followed the band at its public events. Ray’s friend, the late Ted Rabicki, sent a live cassette recording of the band to Bill Shibilski. Bill played some of the live “on the job” recordings of the band on his WFUV-FM radio show, and the band started to become recognized for its polka music. In 1985, The Ablemen entered the Battle of the Bands at the National Polka Festival at Hunter Mountain, NY and placed second in the competition. In the following three years, 1986,1987, and 1988, the group came in first place in the competition and earned the honor of being judged as the Gold Medal Band at the festival. That propelled the band to a very successful career in the polka field in addition to their performances at private parties. Throughout the years, The Ablemen entertained at many polka festivals in the Catskill and Pocono Mountains, in addition to performing at various Polish Nights, dances, and private parties in New Jersey, New York, Connecticut, Massachusetts, and Maryland. Ray retired the band on New Year’s Eve, 2014. Growing up in Garfield, NJ and raised by his Polish father and Slovak mother, Ray always had polkas in his blood. After retiring the band, he kept his interest moving forward in the polka field by attending various polka dances and festivals. He was recruited by the Polka Jammer Network to assist with camera work on several occasions, including at Ocean Beach Park Polka Days in June of 2015. During that festival, he also interviewed attendees during the Jammer’s live broadcasts. Jammer IJ Bill Shibilski told Ray that he’d never get the music out of his blood. After hearing Ray doing the interviews, Bill encouraged him to go into broadcasting. In 2016, Bill asked Ray to fill in on Bill’s WFDU-FM Sunday night broadcast on several occasions, which Ray did in March, April, and July of that year. Bill was right! 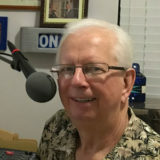 Those stints led to Ray coming out of “retirement” and onto the Polka Jammer Network as one of its IJs as of October 2, 2016.